At the start of 2018 the artist Richard Bevan asked me to participate in an exhibition of maquette at The Block in New Cross, South East London. I old him I would take the request seriously. 'Don't overthink it,' Richard replied. 'Maquettes', he went on, should be taken as a broad term for something that exists between a thought and a thing. 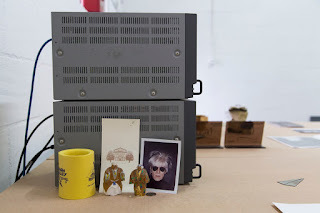 I had noticed an accidental arrangement of objects on a shelf in my studio and decided to submit these in response to Richard's invitation. Around the same time the editors of Satori magazine approached me to write something for a forthcoming issue on the subject of aesthetics.The result was 'Ekphrasis', a text that describes in detail the arrangement of objects on my studio shelf - I wrote it while preparing for the 'Maquettes' show to open at The Block. The show as very lovely, and I was very happy to have been included in it. 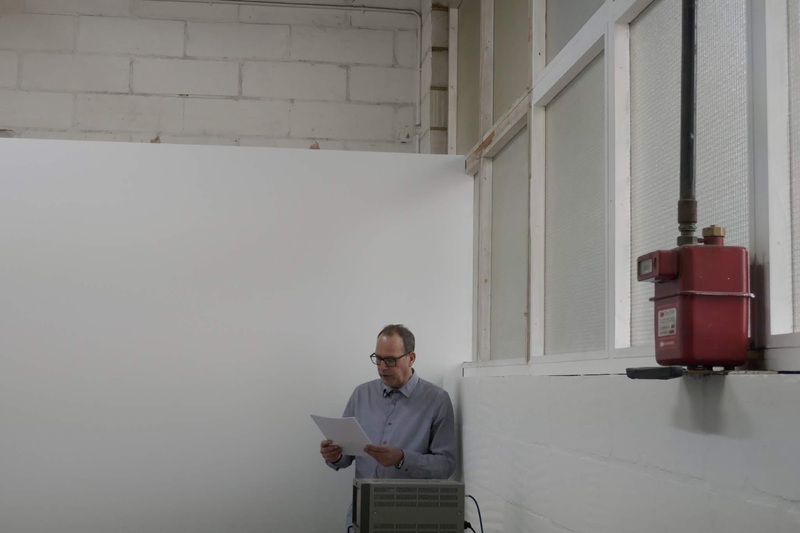 I was also very happy with the way the 'Ekphrasis' text came out, so when Block invited me to give a reading there to mark the close of the exhibition, I agreed immediately. Richard Bevan recorded the reading, and Rachel Hollings - known as @lahollings to her many Instagram followers - photographed the event. I am indebted to Rachel and Richard for their documentation of my reading. Later in the year Mike Harding of Touch Radio expressed an interest in featuring the recording of 'Ekphrasis' as one of their fabulous transmissions. You can access it directly from them by clicking here. This is the first piece of mine in a long time to exist as a show a published text, a live performance and a sound piece. Single process: multiple outcomes. I wish I could do this more often, Enjoy. Pictured above from top to bottom: KH's arrangement of objects at the Maquettes show, photographed by Richard Bevan; Satori 03, cover by Sam Copeland; KH reading, photographed by Rachel Hollings; KH and Richard Bevan at The Block, photographed by Rachel Hollings. My latest programme for BBC Radio 3, ‘Right Between the Ears’ is going out this Saturday evening (June 2) at 9.30 pm. If you already have other arrangements, you will still be able to stream the programme after the broadcast by clicking here. This link also gives you additional information about the programme. A podcast version will also be available. 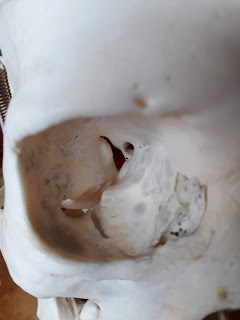 A few years ago, readers of this blog may recall, I underwent a routine eye operation while under the influence of a local anaesthetic, which numbed all sensation in my head. I now recall that operation only as an uninterrupted succession of sounds - heavy buzzes, high-pitched crackles, sizzles and trickles resonated inside his skull. It created a series of rippling acoustic spaces around me. The most amazing music I have ever heard was playing amid the flickering lights and snatches of gentle conversation in the theatre. What is more I could no longer tell with my deadened senses, what sounds were coming from within me and which from without. I seemed to be experiencing a much deeper, more physiological state of hearing. In an attempt to recreate this 'amazing music', 'Right Between the Ears' takes the listener deep into the acoustic territory of the skull from the eyes to the ears and then the recesses of the skull itself. 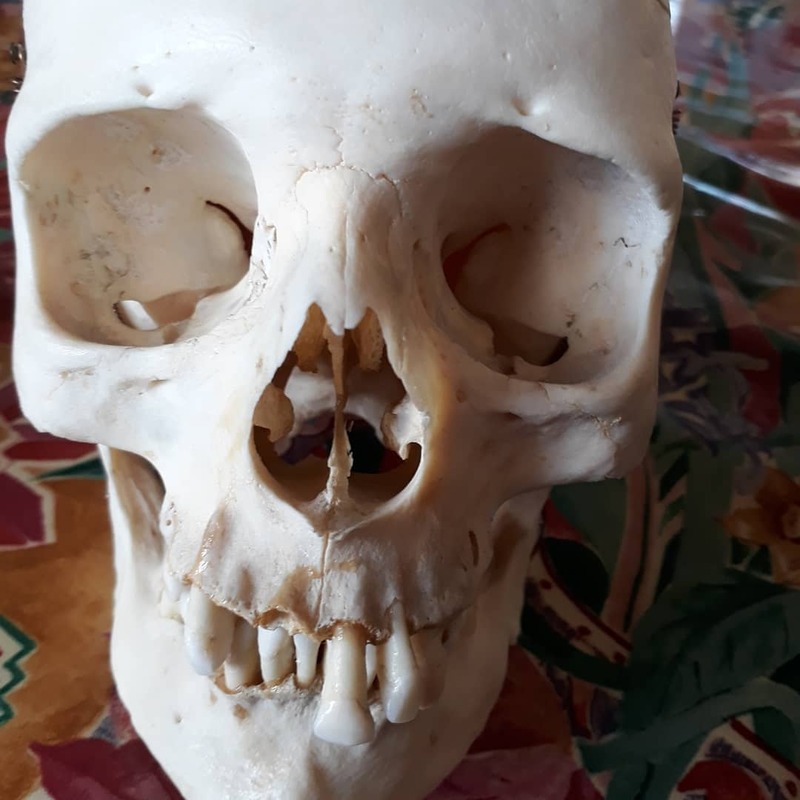 This experience, this haunting auditory space, has a long history: the Quetzalcoatl Indians of Central America rubbed a notched bone against a skull during their funeral rites. 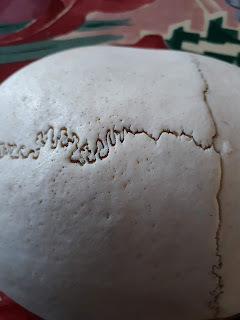 The poet Rilke once wondered what kind of ‘primal sound’ would emerge if you ran a phonograph needle across the sutures of the human skull: would a new incoherent voice resonate from within it? 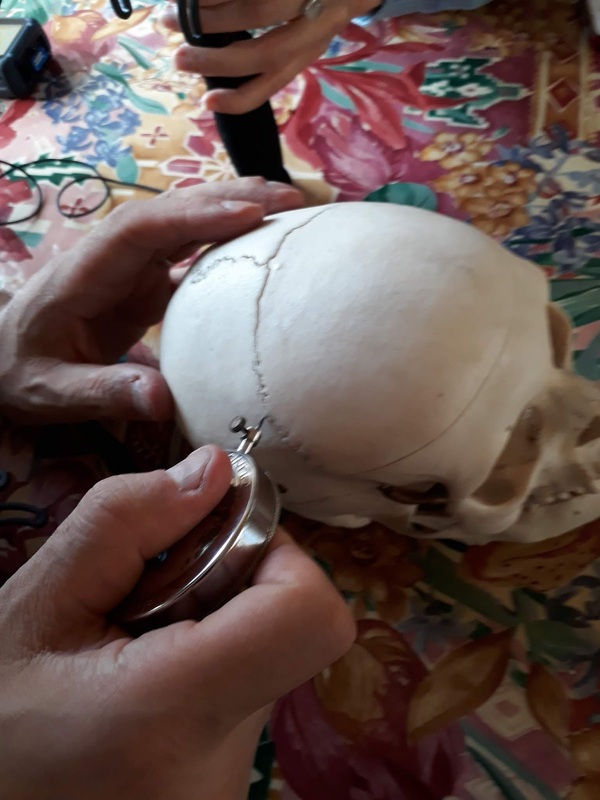 With the aid of sound artist Aura Satz, we performed Rilke’s experiment with an actual human skull in a daylight séance conducted around a West London kitchen table. There are some remarkable reconstructions of auditory experiences caused by the physiology of the ear and eye and the cavities of the human head. I even lay in the dark on the springy floor of the anechoic chamber at Salford University to hear the high-pitched keening of my nerves and the low murmuring croon of my blood circulating in search of my own primal sound. I am profoundly grateful to all of the contributors to this programme, which sounds amazing: the binaural mix making for a mesmerising listening experience. Do try it with headphones if you get the chance. Despite the subject matter, the actual programme has a relatively low ‘ik’ factor - but then my generation was the first to become desensitised towards violence. 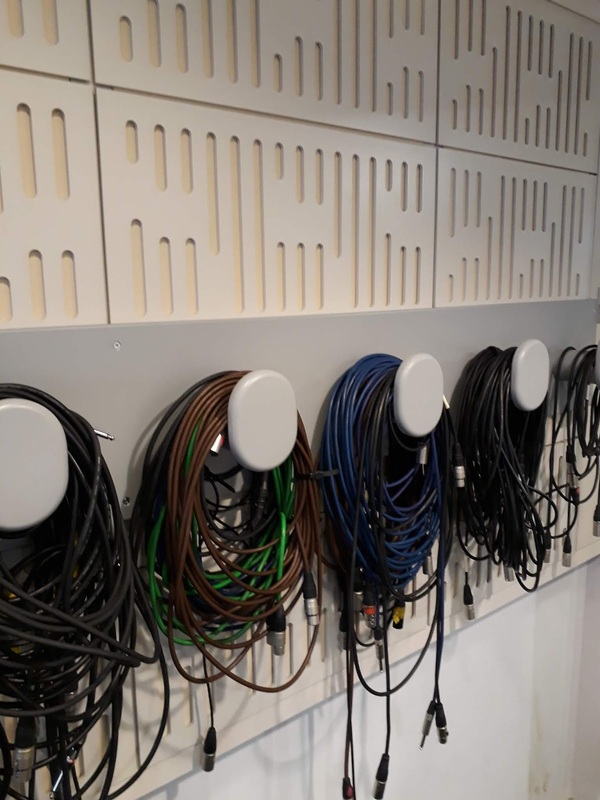 Guest voices include musician and composer Martin McCarrick, sound artist Aura Satz, Trevor Cox of Salford University, Sophie Scott of UCL and Louisa Wykham of Moorfields Eye Hospital. The man with the artificial head was Studio Manager Donald McDonald and the producer was Mark Burman. For a limited period only, ‘Speak, Spirit, Speak’, my radio doc on EVP, ghost voices and ghost technologies, is back on the BBC i-Player. You can find it here. The show seems to have become a regular fixture on Radio 4 Extra – I usually know when it has been on because I receive an email from some listener taking issue, not so much with the programme’s arguments, but with some specific example or other. Usually it is ‘We can see Edith by radio,’ cited by Edith Cass, the widow of EVP researcher Raymond Cass, that causes the objections. I had the pleasure of interviewing Edith in the backroom of the hearing aid repair workshop they once ran in Hull. At a small altar heaped with artificial flowers and framed photographs stood the Juliette radio Raymond used to listen to the voices of the aether. Edith had no doubt about what the spirits meant by their message and was still moved to tears by memories of her time spent with Raymond and the radio. Other strong memories from the weeks spent working on this programme for Radio 4 included an afternoon at the British Library sifting through the archives of Konstantin Raudive – little more than a cardboard box loaded with spools of reel-to-reel tape and exercise books crammed with handwritten texts – and the long and fascinating conversation I recorded with Erik Davis in one of the old fifth floor studios at Broadcasting House. 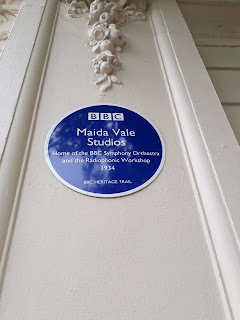 Those old studios were fabulous: all dark wood and green baize-covered tables – the producer sat in a separate room screened from you by a think glass window, and a light went on in the middle of the table when the machines were rolling next door. The room was practically built for séances. BBC Radio was already moving some of its departments up to Salford so many of the offices were empty and deserted – just a few lights on phones or heating units still winking in the darkness. Erik gave a fantastic interview; and although we only used a few clips in the final show, I still have a recording of the full hour we recorded together. Jon Calver, my producer, thought that, with a little cleaning up, it would have made a great programme in itself. One day I’ll retrieve the recording from the archives and figure out what we might do with it. There have been so many installations, performances and record releases involving Electronic Voice Phenomena, an elusive form of spirit communication using a wide range of media from early phonographs and tape recorders to computers and MP3 players, that ‘EVP’ can now be regarded as a legitimate musical genre in its own right. Ghost voices have existed ever since recorded sound was first captured on a mechanical device – every playback becomes an exercise in mortality and absence, particularly when a recording outlives the individual who made it. Not surprising therefore to discover such a diverse range of material caught in the grooves of this vinyl release intended as the sonic counterpart to a group exhibition of work by artists exploring the paranormal as their primary subject matter. The disc’s compilers have gone to great lengths to offer a comprehensive overview of the complex and shifting terrain covered by EVP. This includes musical compositions written and performed by those with direct links to the ‘spirit plane’ such as the sonorous ‘Re-Incorporation’ by percussionist Frank Perry and the sublime ‘Message from the Mystery’ by British clairaudient Jeannie Evans. Juxtaposed with them are pieces by experimental composers and performers exploring evanescence and disappearance as expressions of cultural colonialism, such as Guillermo Galindo’s turbulent ‘Limpia’, equating national borders with the shamanic crossing of thresholds, and Sally Ann McIntyre’s mournful attempt to invoke the lost song of the huia, a bird native to New Zealand that has been extinct since 1907. The record is resonant with references to early EVP pioneers such as Friedrich Jürgenson, Konstantin Raudive and Raymond Cass; and there are some suitably grainy field recordings made by psychic researchers teasing out accounts of hauntings, ghost voices and astral projections. And this still leaves room for some of the more established experimenters in the genre to slip through the cracks and fill them in afterwards. Leif Elggren, CM von Hauswolff and Michael Esposito have each been associated with Touch Music’s continued commitment to EVP since the release of their Ghost Orchid collection back in 1999. Elggren places before us a radio without an antennae struggling to pick up anything through the white noise and bock; Hauswolff has his various machines speaking in slow heavy tongues, while Esposito tracks spirits across a nineteenth-century battlefield on ‘The Yellow Jackets Last of 1811’ and remixes a recording from 1901 of spirit voices projected by a shaman into the horn of an early phonograph – their hearty but incomprehensible chortling will surely haunt the dreams of anyone who listens too closely. ‘Speak Spirit Speak’ is available on the BBC Radio i-Player for another 24 days. I just have time to report on one last publication of note before the world shuts down for Christmas. 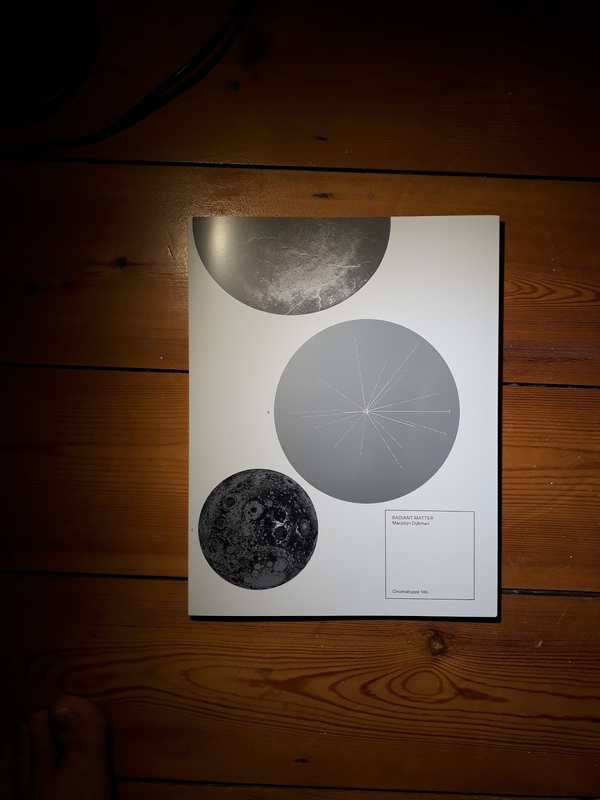 ‘A Sundial on the Moon: Eleven Variations on a text by William Blake’ was written in response to an invitation from the artist Marjolijn Dijkman to write something for her book Radiant Matter, which documents her researches into astronomy, science, perception and spirituality. I chose Blake’s ‘An Island In the Moon’ as a starting point for my essay as his unfinished prose satire pointedly referenced the Lunar Society, a key historical theme in Marjolijn’s work. The eleven variations correspond to the eleven finished chapters of Blake’s original text and are indicated by the eleven major divisions of my essay. The piece, as it unfolds, also examines Kepler’s lunar fantasy Somnium and Aphra Behn’s seventeenth-century Italian farce The Emperor of the Moon. ‘A Sundial on the Moon’ was written over the summer and autumn of 2016 while I was completing work on The Space Oracle, my next book for Strange Attractor Press, which is due to come out through the MIT Press in the Spring of 2018. 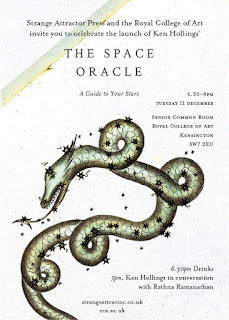 The Space Oracle is a fractured history of astronomy that brings stories of astronauts and spies, engineers and soldiers, goddesses and satellites in close alignment with pop culture references, low-budget astrological divinations and everyday observations. It’s the story humanity wishes it could tell itself about its relationship with the stars. ‘A Sundial on the Moon’, taken together with my essay ‘The Cosmos Is A Work In Progress’, which recently appeared in the Bauhaus volume Space for Visual Research, are extensions of the original research for The Space Oracle and should be seen as independent supplements to it. 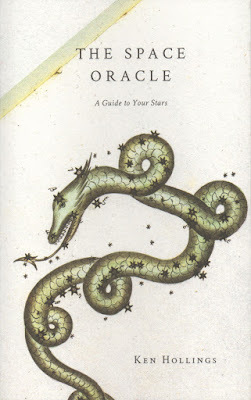 This fourth and final publication in December should mark a brief hiatus before The Space Oracle makes its transept across the Vernal Equinox of 2018. Keep watching the skies for more information of this new title as it comes up. In the meantime my warmest wishes to everyone on this dark winter solstice afternoon – have a restful and happy time wherever you are and however you may celebrate the end of an old world and the beginning of a new one. 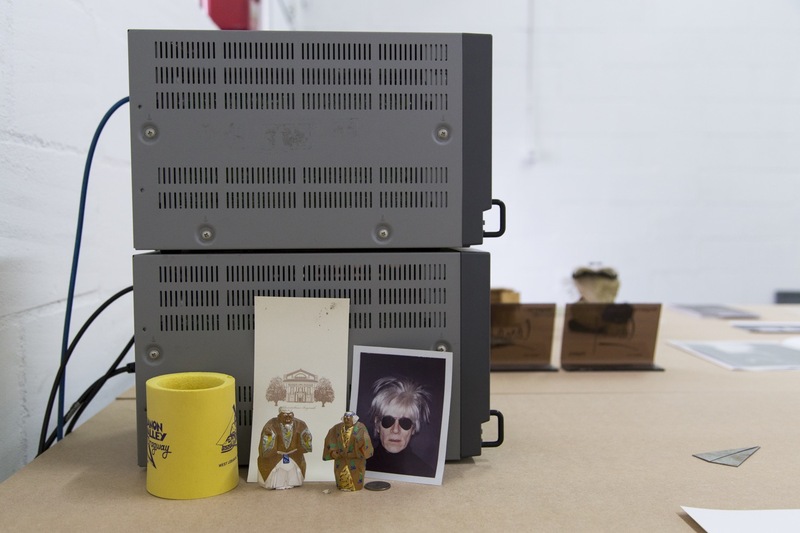 Marjolijn Dijkman’s Radiant Matter is available to order from Onomatopee in Eindhoven – find more details here. But wait…there’s more! I have a third new piece of writing in the second issue of Satori, a beautiful and still very young magazine that is really worthy of your support. It is wonderful to find my work presented in a publication dedicated to the proposition that ‘When you see death, things change.’ Too often we are encouraged either to look away from death or to treat it as a wholly negative and destructive force in our lives. Sometimes to contemplate life in terms of its sudden disruption can be a positive and liberating experience – as I know only too well. My essay ‘In Praise of Wrathful Deities’, looks at traditional Tibetan burial customs, the book of the dead as a literary genre, angry gods and the experience of reality. Along the way we encounter Aldous Huxley, Tim Leary and Thomas Mann, and I also include some of the night thoughts and journal entries I wrote down in my notebooks while recovering in the cancer ward at the Chelsea and Westminster Hospital – still one of the most extraordinarily joyful periods of my entire life. 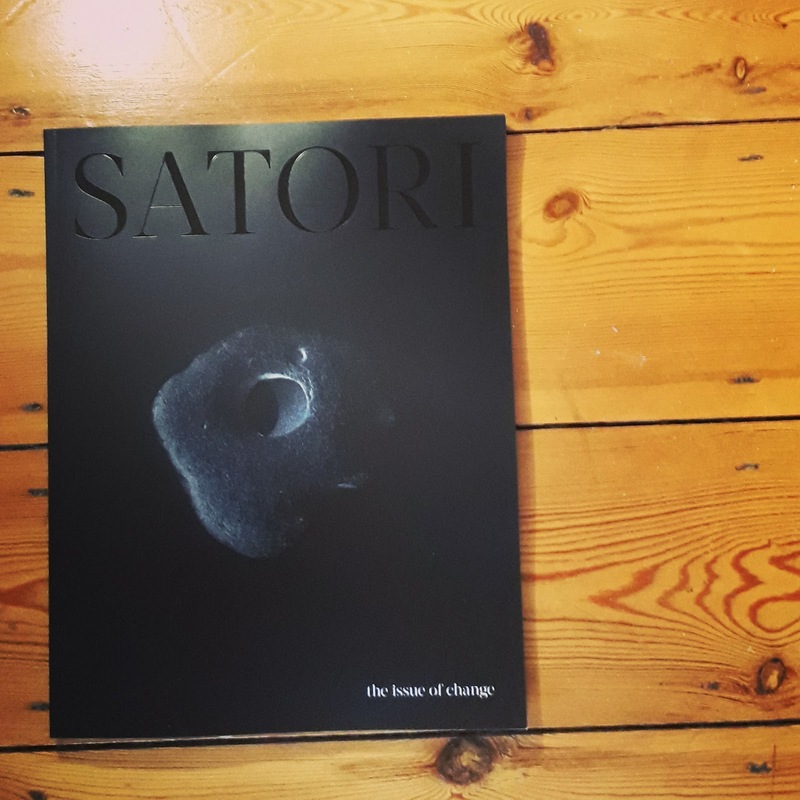 Issue two of SATORI – The Issue of Change, features over 100 pages of original content from acclaimed writers including Pico Iyer, Anita Moorjani, BJ Miller, Jill Bolte Taylor and Ken Hollings and an amazing selection of art and photography from Sara Sandri, Adam Goodison, Daniel Castro Garcia, Phil Hewitt and Tommaso Sartori to name but a few. 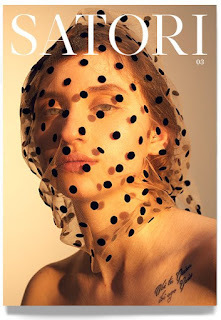 So go buy it – and help make sure that there’s an issue three. 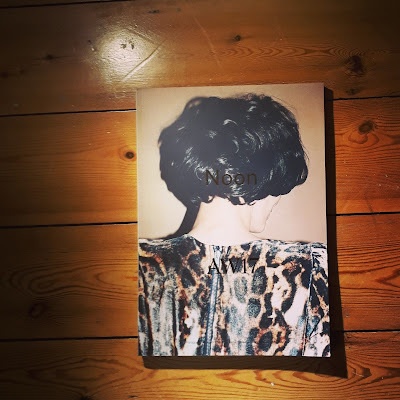 I am also happy to announce that I have continued my longstanding relationship with Noon magazine into their AW17 issue dedicated to the theme of Excess. My seventh essay for this wonderful publication is dedicated to King Ludwig II of Bavaria – someone who, as regular readers of this blog might know if one of my heroes. The piece is called ‘King Ludwig’s Gallery of Beauties (This is Story about Horses)’ and is destined to be part of a larger work that I am currently sketching out. 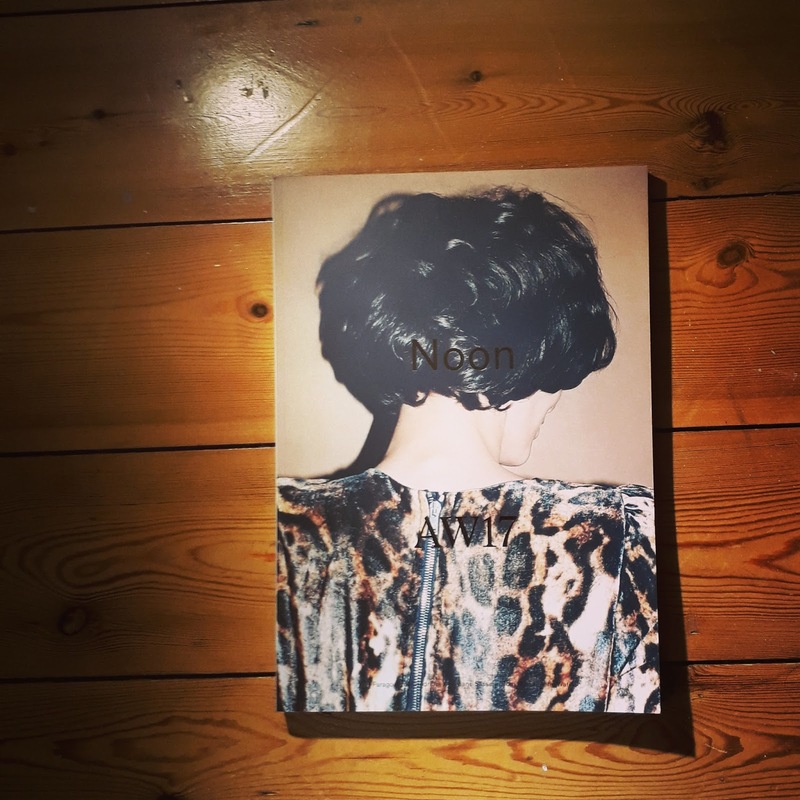 The AW17 issue of Noon is available from Claire de Rouen books - more information on Noon and its distributors can be found here. As a small footnote, I would like to thank everyone who called or emailed me about my appearance talking about the life and mysterious death of Ludwig II in a recent cable TV documentary – thanks for viewing and for letting me know. The subject remains a constant source of surprise and inspiration for me – the last great aesthete of the nineteenth century still has so much to teach us about culture, technology and taste in the twenty-first. Ludwig’s existence has the form and impact of a lost science-fiction story on the human quest for paradise – which is appears to us as a pale reflection in the theme of excess.